I think this has to be the most we have ever seen from an un-announced Windows Phone ever! Just yesterday we saw more of the 6inch Nokia Lumia 1520. 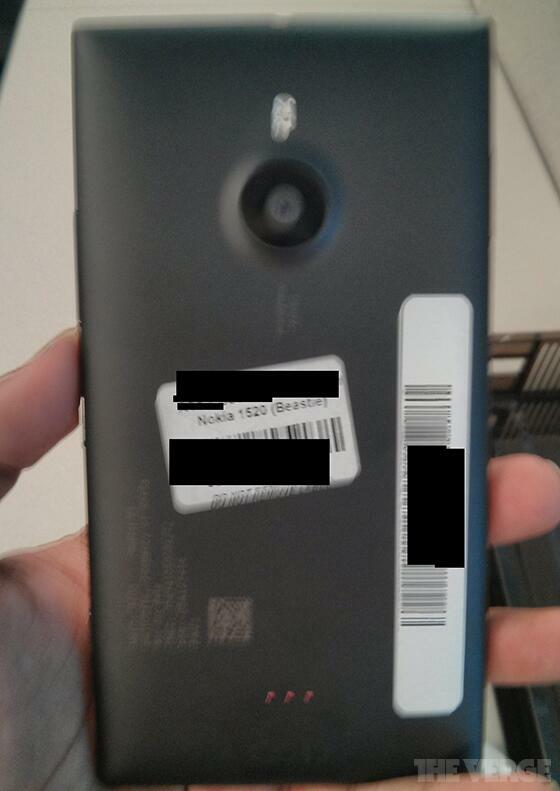 Now, TheVerge’s Tom Warren recently tweeted a picture of the AT&T version of the Lumia 1520 codenamed Beastie. This is the Lumia 1520 (codenamed Beastie) on AT&T. See if you notice anything different from other pics. If you can’t spot the difference, Tom is showing off the wireless charging contacts at the bottom. The contacts will be used to connect to wireless charging shells that should be launching with the device. Written by: Hyde13 on September 10, 2013.
damn shells. please start integrating it again, nokia.. optionally. extra cost. doesn’t bother me. but those shells just don’t look as pretty as the phones without it.